PLEXIGLAS Hi-Gloss is our premium acrylic with an ultra glossy finish, making it the preferred bathroom and kitchen acrylic splashback. 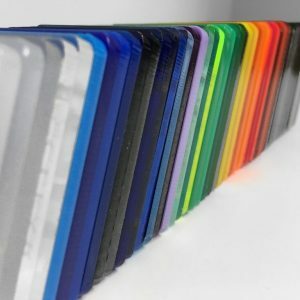 PLEXIGLAS Hi-Gloss is a co-extruded coloured acrylic permanently bonded together with a clear acrylic, giving it a beautiful depth in it’s appearance and eliminating any potential of delamination. 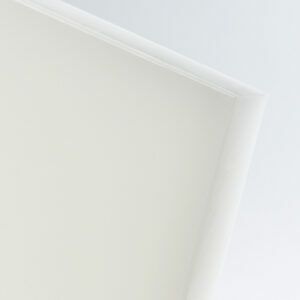 For all cut to size PLEXIGLAS Hi-Gloss a $40 cutting charge has been built into the price. PLEXIGLAS Hi-Gloss is our premium gloss acrylic splashback material perfect for any kitchen or bathroom feature surface. 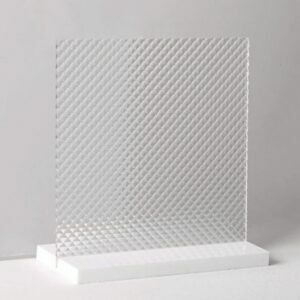 PLEXIGLAS Hi-Gloss is a co-extruded coloured acrylic permanently bonded together with a clear acrylic, giving it a beautiful depth in it’s appearance and eliminating any potential of delamination. The bright, shiny and 3D-look finish on this kitchen splashback favourite has been selling itself since it’s launch into the market a few years ago. It is primarily used as an acrylic splashback in kitchens and bathrooms, and is also regularly used as a decorative feature wall material and wall cladding elsewhere for visually appealing architecture. PLEXIGLAS Hi-Gloss comes in large sheet sizes, which reduces the number of visible joints in wall cladding applications and decreases labour time compared to tiling. 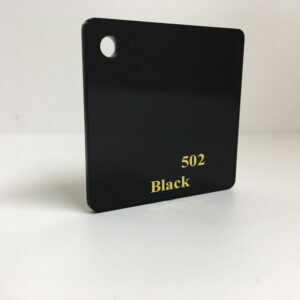 We offer a full service cut to size PLEXIGLAS Hi-Gloss Acrylic Sheet in Sydney, Melbourne, Brisbane and Perth, delivered to your door. Simply select Cut To Size in the Size drop down menu, select your thickness then and add your exact dimensions you require from there. Remember to note the red alert which indicates the maximum cutting lengths and widths.